Have You Ever Had a Sandwish? When hunger strikes and I can feel my stomach rumble, I start envisioning warm, toasty, cheesy, fresh goodness that is perfectly topped with crispy veggies and savoury sauce. I have a Sandwish and everyday, it’s something different. It gets me to thinking what could satiate this hunger and craving. Luckily, SUBWAY® Canada has a Sandwish for everyone. So, what a Sandwish? Well, it’s exactly what I mentioned above. It’s when you get those familiar moments that happen frequently when you crave a custom-built and mouth-watering sandwich. Whether you love a veggie sub or if you prefer a deluxe (double-meat) sub, with over 2 million ways to customize your sandwich at SUBWAY® restaurants, there is a sandwish that meets everyone’s individual lifestyle and nutrient needs. 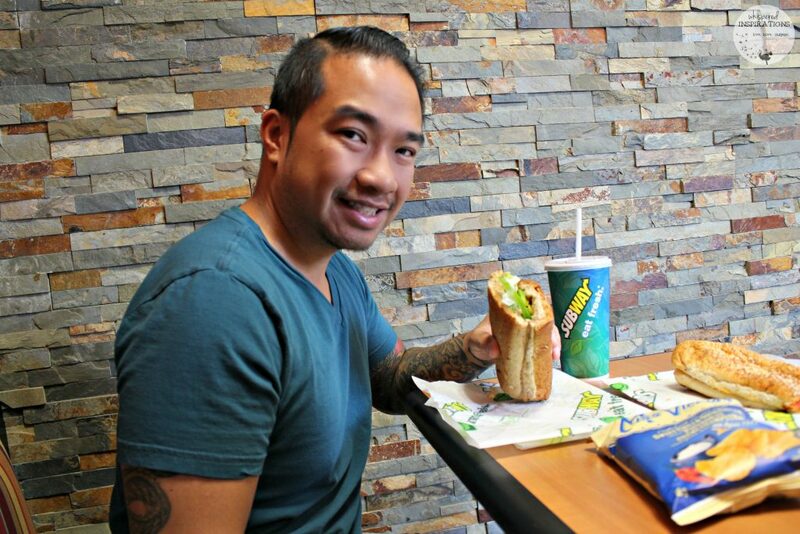 I am so happy to share that I am an official SUBWAY® Sandwish Ambassador and will be sharing everything about fulfilling your Sandwishes and why you should totally give in to your cravings. For that very reason, I’ve added the definition of a “Sandwish.” Check it out below! It’s the overpowering yearning for a delicious, irresistible sandwich, made your way. A Sandwish is unique to each individual – it can change depending on the day – heck you can even have multiple Sandwishes. It’s relentless – it doesn’t care if you’ve got a million things to do. “Too busy” isn’t in its vocabulary, it demands your attention (rightfully so), and before you know it your mind has drifted to the realm of Sandwishes – a magical state where you want… no NEED to give into that wonderful craving. Meat, cheese, no cheese, veggies, extra veggies, bacon (mmm… bacon), bread, toasted, not toasted – what’s your Sandwish? Keep Your Lifestyle in Check! As you know, I have no shame in admitting that I have plenty of sandwishes and since I’ve been on a journey to getting healthier, SUBWAY® is our first choice. I have to say that if my sub has plenty of meat and some spice from their Southwest Sauce, I’m in heaven. Plus, it helps me to keep my lifestyle in check and is fast, convenient and best of all–a great solution to eat freshly prepared meals on-the-go. Don’t worry, you’ve got options. I love the versatility that SUBWAY® offers, I can change it up as much as I want and not get bored. From eating turkey one day and Korean BBQ Pulled Pork the next. Down to having cheddar cheese or Swiss and even the type of bread. The kids love their kid’s meals because they can pick and choose what goes on in their sandwich and I love that they are fresh and they are getting their veggies in. It doesn’t matter what your lifestyle or dietary needs are – from reducing sodium intake to eating whole grain options–you’ll find it at SUBWAY®. You can still build a sandwich that satisfies your cravings and one that sticks with many different dietary restrictions. I try to take in less sodium and am glad to know that SUBWAY® has lowered their sodium in their lunch and dinner sandwiches by 30% since 2008. That’s awesome! Canadian and Proud, Oh Yeah! SUBWAY® restaurants loves Canadians and Canadians love SUBWAY®. It’s a match made in Sandwish heaven, and SUBWAY® is proud to offer proteins sourced from Canada as much as possible, including Ham, Turkey, Prime Rib, Steak and Cold Cut Combo at their 3,200+ restaurant locations in Canada. What’s more, SUBWAY® restaurants works with local farmers across Canada to supply seasonal produce when in season. For example, Western Canada can enjoy BC-grown cucumbers from April through October and Ontario will now enjoy locally-grown cucumbers, onions, peppers and tomatoes in the early fall. When 11:11 hits, don’t forget to make a Sandwish. Heck, share your sandwish ANYTIME! 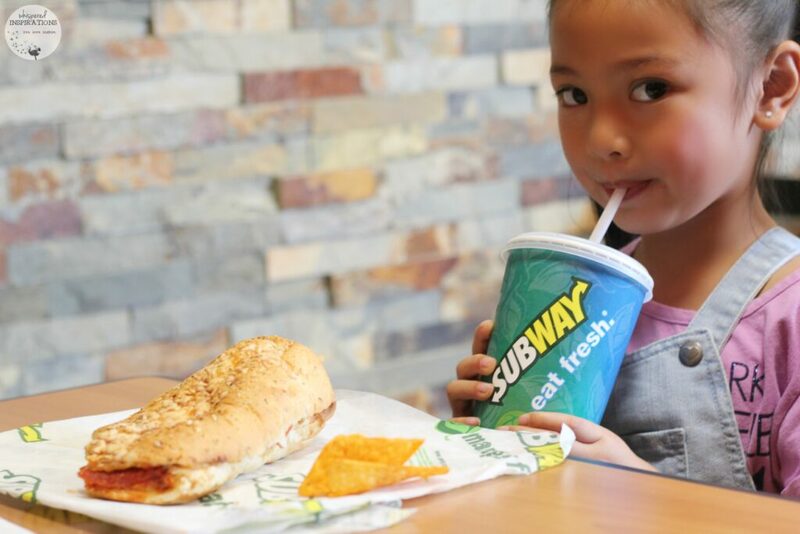 If you share it online by using the hashtag #SUBWAYSandwish, you might just get your #SandwishGranted! How awesome is that? I know that I will be making Sandwishes for a long time to come. In fact, I am craving a Korean BBQ Pulled Pork sub on 9-grain wheat. Excuse me while I go and fulfill that Sandwish folks! One lucky Whispered Inspirations reader will WIN a $100 SUBWAY® Canada Gift Card. This contest opens on August 2nd, 2016 and ends on August 17th, 2016. For more information, visit www.subway.com and follow them on Twitter and Facebook for the latest updates and to share your sandwishes! Previous Post: « 7 Tips to Help You Enjoy the Long Weekend to the Max! I disagree. I prefer vegetarian. My #SUBWAYSandwish is for a turkey sub on an Italian Herb Cheese bun with chipotle sauce, onions, peppers, lettuce, tomato, cucumber and hot peppers. i like their steak and cheese on flatbread! I agree, not cheese for me. The sweet onion chicken teriyaki is my very favourite sub from Subway! my favorite sub is turkey. With cheese,lettuce,tomatoes,spinach and mayo. My favourite sub sandwich is steak and cheese. I really enjoy the Sweet Onion Chicken Teriyaki. I like the Roast Chicken with everything on it. My sandwish is a roasted turkey sandwich on herb and cheese bread with all the veggies and bbq sauce. My favorite subway sandwich is the classic ham. I love it on a 9-Grain Honey Oat, with lots of veggies, and extra pickles! My SUBWAY sandwish is a warm marinara meatball sub with melting cheese on a fresh baked whole wheat bun. I pile it high with crisp cucumbers, juicy slices of tomatoes, fresh spinach, pickles, black olives and a sprinkle of parmesan. i love the veggie sub from Subway! Steak and cheese is my fave. My favourite sub is the roasted chicken. Not the most exciting, but healthy and yummy. My favorite sub is a chicken pizziolli with green peppers, mayo, onions, cucumber, lettuce, cheese, ranch dressing, and tomatoes. I always have a 6 inch turkey and ham on whole wheat! Lettuce, tomato, onions with mayo! Thanks! My favourite sub is Meatball sub. steak and cheese is my favourite. My favourite is the BBQ Rib! My all time favorite sub and my favorite subway sandwich are the same. I like the basic turkey and cheese! My all time favourite sub is the Veggie Patty! Teriyaki chicken seems like a good sub. I love a turkey sub loaded with veggies and multi-grain bun. I love the Chicken Teriyaki the most. I love a chicken bacon ranch sub! I love a classic veggie sub! My favourite has always been cold cuts. My favourite sub is the Subway Club: Parmesan bread, lettuce, cucumbers, tomatoes, onions, green peppers, lots and lots of black olives and Chipotle dressing. Yum! My Subway sandwish is a bunless chicken breast sub–aka a chicken salad loaded with veggies including black olives, onions, and banana peppers. My favourite all-time sub (at Subway!) is a Veggie sub with lettuce, peppers, green olives, cheese and loaded with sub sauce and mayo! my favourite sub is the classic pizza sub with everything [except hot peppers] on it! my favourite is the bacon chicken ranch, love to add jalepenos!! Fav sub is assorted with extra cheese. YUM! My favourite sub is the BMT with shredded cheese and ranch dressing!! my favorite subway is the meatball sub. I love it. My favourite All time sub is Chicken teriyaki sandwich. I adore the pizza sub with extra sauce and parmesan! I love the Cold Cut Trio. It’s been my favorite since I was a kid! My favourite is chicken with all the toppings and ranch dressing. Prime rib Swiss Melt is my all time favourite. I love a good pizza sub with spinach! My favourite Subway sub is the chicken bacon ranch loaded up with tomato and lettuce. All time favourite sub is tuna. Chicken Bacon Ranch is my fav sub from Subway, it is delicious! My favourite sub is the Subway BMT! THAT I BE THE WINNER BECAUSE I LOVE SUBWAY SO MUCH THAT WHEN I GOT DISCHARGED FROM THE REHAB CENTER THE NURSES GIVE ME SUBWAY CARDS BECAUSE I USE TO COMPLAIN ABOUT THEIR FOOD AND I WOULD EAT IT. MY SISTER BRUNG ME SUBWAY SOMETIMES, I LIVED THERE FOR 5 MONTHS AFTER MY STROKE. My favourite is definitely the Sweet Onion Chicken Teryaki. I enjoy roast beef loaded with veggies. The Korean BBQ is the bomb! I love the turkey and ham with bacon. Thank you for the giveaway! Good luck everyone! one of my favourites is the Chicken bacon ranch! love to add some jalepenos. I like the Subway Club. Enjoy trying the new creations! I love Turkey Subs and Peanut butter SandwIches! GOOD LUCK! 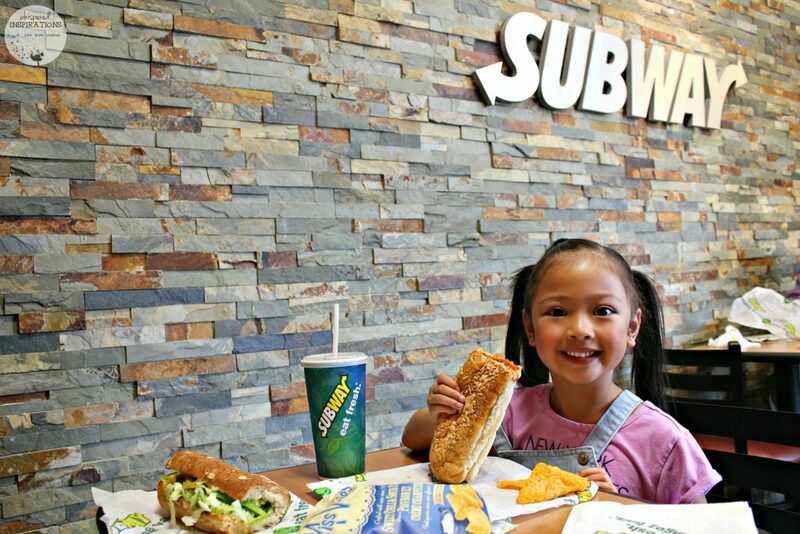 My #subwish is the subway melt with extra cheese and south west sauce. My favourite Subway sandwich is the Philly Steak. Just scrumptious! I love a foot long Sweet Onion Chicken Teriyaki with the works. I love an overstuffed veggie sub with more veg than the bun can handle! I love my steak and cheese on flatbread. nom nom nom! I love the Subway Club. I love ham, lettuce, cucumber, ranch, spinach on whole grain…I could eat at Subway everyday!! Thanks for the contest!! My all time favourite subway sandwich is the spicy Italian. My favorite subway sandwich is a ham sub. Delicious! Sometimes I love a veggie sub! My #sandwish is steak, red onions and mayo~! I always crave the pizza sub. The veggie deluxe is my fave! I like the assorted meat sub. I like a classic veggie sub! MY favorite subway sandwich is Sweet Onion Chicken Teriyaki with lettuce, extra pickles, onion, mayo and sweet onion sauce. I love the Subway steak and cheese sub! Their Chicken Bacon Ranch Sub has to be one of my all time faves, love getting it for lunch! My fave sub is vegetarian on a brown bread. I love the different bread options at Subway. Much better selection. My favourite sub and my sandwish is the Subway Club. Love the Butter Chicken sub. I love a ham sub, with extra pickles! I love the basic veggie sub! My go to all time favorite subway sub is a toasted assorted on italian bread with everything including sub sauce and mayo. I think a sandwish might be their Koren BBQ Pulled Pork, been seeing ads about it and it looks really good. I would love a beef and mayo sub with some tomatoes. I always enjoy a cold cut combo! My sandwish today is a Veggie Delight. Cheddar cheese, spinach, lettuce, tomato, cucumber and olives on 9 grain wheat with a small squeeze of honey mustard. My favorite sub is a ham sub. It sounds plain but oh so delicious! My ultimate sandwish is an assorted meat with green pepper, onions, tomato and lettuce! On whole wheat! My all-time fave Subway sandwich is Seafood Sensation. They have removed this on their regular menu so maybe through your channel they will put it back in their menu. My fave sub is a turkey blt. My favourite Subway sandwich is the Meatball Marinara Sub! The meatballs are sooo delicious, and the marinara sauce is dripping good!!! I would eat one a day if I could!!! My sandwish today is ham with swiss, extra spinach, cucumber and pickle on 9 grain whole wheat with a small squirt of honey mustard. roasted chicken with lots of peppers! I enjoy Subway breakfast… So my sandwish would be the flatbread, eggs, cheese, peppers, onions, tomatoes, salt and pepper. My favourite is Subway Club Sandwich on whole wheat! My all-time favourite sub is the Subway Club. I love my ham sub, with sub sauce and extra pickles. A BLT sub with extra onions. 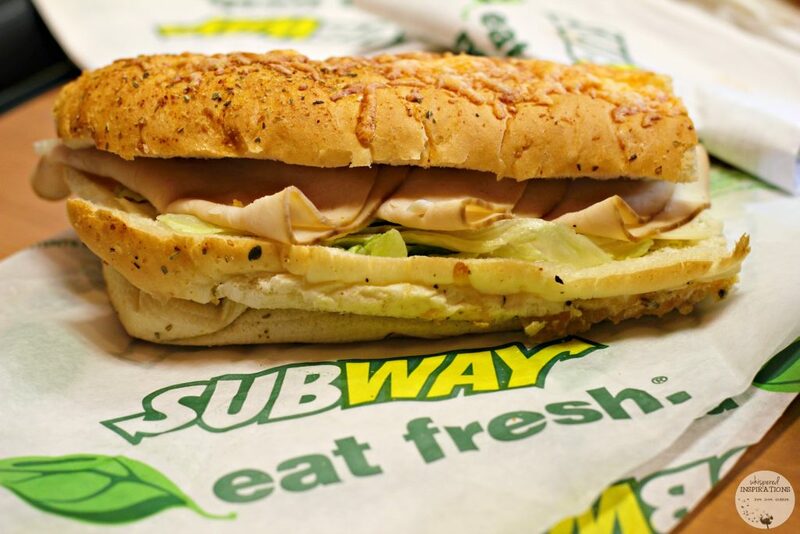 Turkey subs are delicious, with cheese, mayo, lettuce, tomatoes, onion, green and black olives! I love a good turkey sandwich at Subway!! My favourite sub is the Subway Melt. My #SandWish is tuna on flatbread with LOADS of banana peppers and Southwest Sauce, YUM! Thanks so much for the chance to win! Chicken Bacon Ranch Club is my fave!! My favourite subway sub is veggie with lots of vegetables including avocado and spinach! My sandwish today is oven roasted chicken on 9 grain wheat with spinach, lettuce, tomato, extra cucumber and olives with a really small squeeze of mayonnaise and a sprinkle of black pepper. Mine fave is sweet onion chicken teryaki! Sweet Onion Chicken Teriyaki is my go to sub. I love the Butter Chicken sub. I love the pizza sub. I would totally go for a Subway Steak and Cheese sub right now. I love a sub with lots of pickles. Butter chicken is a fave. Chicken Bacon Ranch is my #1 fave from Subway! My sandwish today is roast beef on 9 grain wheat with cheddar cheese, spinach, tomato, and cucumber with a little mustard. Turkey with swiss cheese, with extra shredded cheese. Toasted. Mmmmmmmm now I’m wishing I had a subway sub in my hand! The favourite sub is the Subway Club. I looove meatball subs with extra cheese! I really like the Sweet Onion Chicken Teriyaki the most. A BLT with onions please. My favorite is ham and swiss cheese on a 12 inch white bun. Chicken Bacon Ranch with lots of veggies on it! I love the Italian BMT on whole wheat. I love a 6 inch sub, with ham, swiss, cucumber, spinach and a dab of ranch dressing! My favourite sub is a ham and cheese sub with lettuce, tomato, green olives, pickles and sub sauce. I always go for the roast beef with lots of pickles and olives plus the honey mustard! Perfection! Chicken Bacon Ranch Club is mine, Hubby like their Turkey Sub. i have a few favourites.. steak and cheese is awesome! My sandwish today is turkey and Swiss with avocado, spinach, tomato, lettuce and cucumber along with a little bit of mayonnaise on 9 grain wheat. Today my #SUBWAYSandwish is for the Korean Pulled Pork on a Wholewheat bun. My son loves the roast beef sub! I am all over the Sweet Onion Chicken Teriyaki. Almost any sub I eat has green and black olives! Totally my favourite toppings! Today my #SUBWAYSandwish is for a Turkey Breast and Ham on flatbread loaded with veggies and some chipotle southwestern sauce. Oven roasted chicken is a fave. Love a Chicken Bacon Ranch Club sub, been craving one! Has to be turkey on whole wheat with lettuce, tomato, cucumbers, mayo, salt and pepper. Although I have great intentions to try something different, I always get the Subway Club. My favorite Subway Sandwich is the Sweet Onion Teriyaki. My favorite all time sub is cheese , toasted. Veggie is one if my faces. My sandwish today is prime rib swiss melt on 9 grain wheat with spinach, lettuce, tomato, and cucumber with a generous sprinkle of black pepper. I love any sub with lots of pickles. And their iced tea!! Chicken Bacon Ranch for me!!! I love a sub with lots pickles, but not too much. and their iced tea! My #SUBWAYSandwish today is a Steak and Cheese on a honey oat bun with onions, green peppers, hot peppers, tomatoes and pickles. Butter Chicken sub is my fave. I love the chicken teriyaki! my all time favourite/go to Subway sandwich is the tuna salad on white with extra mayo and pickles! 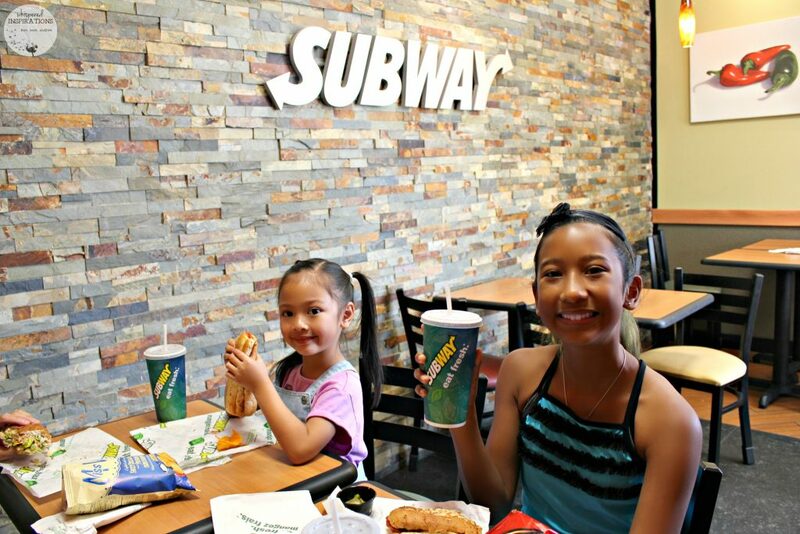 Subway is the best place to stop for lunch, love enjoying a Chicken Bacon Ranch Sub! Turkey sub is one of my faves. I love the turkey sub with multi grain bread and lots of veggies. My sandwish today is BBQ Rib on 9 grain wheat bread with Swiss cheese, spinach, lettuce, and cucumber along with just a little bit of mustard. 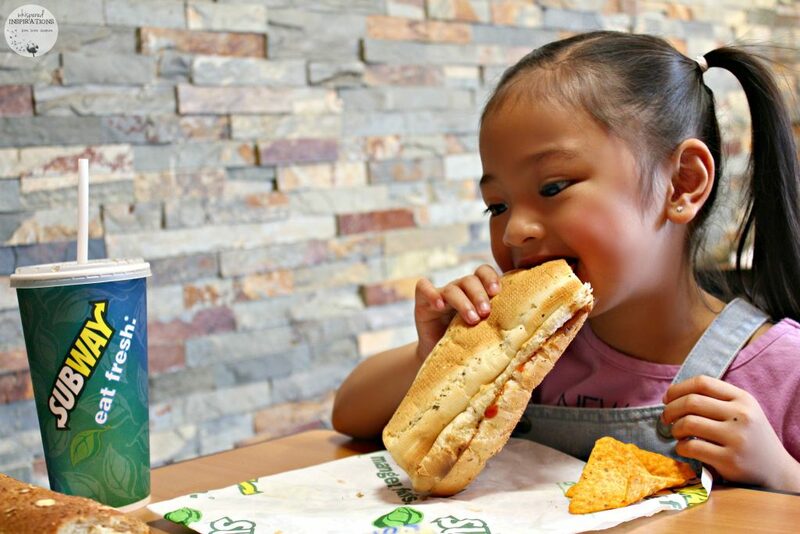 Today my #SubwaySandwish is for a Sweet Onion Chicken Teriyaki on a Roasted Garlic Bun with Cucumbers,Green Bell Peppers, Lettuce, Onions and Tomatoes and a cookie to go with it! My fave is Italian BMT on Parmesan bun. I like the butter chicken sub. Love Subways fresh toppings, the more the merrier! Mmmmmm so good! Im pretty simple – I like a classic veggie sub! A blt would be lovely. My fave is Chicken Bacon Ranch Club! My Subway sandwish today is steak and cheese on 9 grain wheat with spinach, tomato, cucumber and pickles along with a bit of mustard. My favourite sub is the Subway Club. I love a ham sub, sounds boring, but with sub sauce and extra pickles, onions, lettuce, tomatoes, Subway makes it delicious! A Blt with red onions….MMH. My favorite is the sweet onion chicken teriyaki. I am however looking forward to trying the new Korean sub. There might be a new fave in my future! My favourite sub is Classic Cold-Cut. Cold cut sub loaded wit hot peppers is my fav. Chicken Bacon Ranch Club….yummy, my fave! I love the Veggie Patty! My favorite sub is the Sweet Onion Chicken Teriyaki! growing up it was the cold cut combo but as an adult I love the pizza sub. My Subway sandwish today is turkey and swiss on 9 grain wheat with spinach, lettuce, tomato, cucumber and olives with a little honey mustard. I love the meat ball sub! Not quite the healthiest choice, but so tasty! Love the breakfast egg, bacon and cheese flatbread and coffee deal! I love the Italian BMT sandwich at Subway- piled high with veggies, black and green olives and mustard- YUM! Toasted with swiss cheese. The works please! With mayo and sub sauce to finish. I love the chicken bacon ranch sub. My favourite sub is ham with lettuce, tomatoes, green olives, onions and sub sauce. i totally love a good flatbread cheese pizza from Subway!! My favorite sub is a ham sub. I enjoy a mixed meat sub. My very favourite is classic cold cut with lots of pickles. I love the sweet onion chicken teriyaki! My fave is a Chicken Bacon Ranch Club with lots of veggies on it! My favorite sub from Subway is chicken,cheese,lettuce,peppers,onions,cucumbers,mustard with lots of pepper on a multi grain bun 🙂 Thank you for this Great Giveaway !! I would eat the Sweet Onion Chicken Teriyaki every day if I could. Love, love, love Subway Club. My go to sandwich is their steak sub! My Subway sandwish today is a prime rib swiss cheese melt on 9 grain wheat with spinach, cucumber, lettuce, tomato, olives. Today my #SubwaySandwish is for a Korean Pulled Pork on a garlic bun loaded with veggies.